Preston Park, By the ‘Harvest’ Vegetable garden behind the Rotunda cafe. 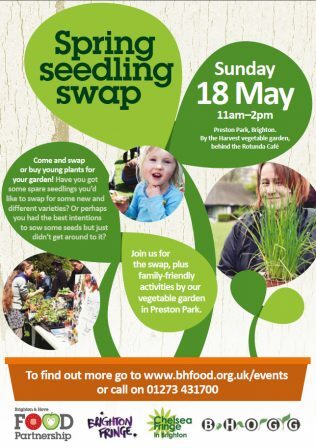 Come and swap or buy young plants for your garden! Have you got some spare seedlings you’d like to swap for some new and different varieties? Or perhaps you had the best intentions to sow some seeds but just didn’t get around to it?